This page contains a fraction calculator that defines whether a fraction terminates or repeats and will show as many decimal places as you request. This page contains links to lessons and extension ideas on number sets and properties. This page includes links to several summaries of basic number properties and offers hints for remembering them. The page also includes pages with practice problems. This page contains an interactive application of each property. This page offers an explanation of solving equations and practice. This page has video of a lecture on solving multistep equations and inequalities. This page contains several different gizmos to practice solving equations and inequalities. This website requires Shockwave Player to run some of its features. This page contains games that involve solving equations. This page contains a lesson on absolute value equations and inequalities. Pass mouse over each colored area to reveal. This page contains a brief explanation and practice on solving absolute value equations and inequalities. This page contains absolute value practice worksheets of varying levels and operations, including a link to absolute value inequalities worksheets. This page discusses slope and rate of change for linear equations. This page contains a lesson on rate of change with a real life example. This page contains an online quiz to calculate slope for several graphs. This page includes a lesson with several examples and a video about finding the rate of change. 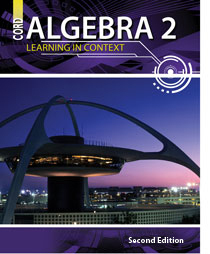 This page contains a tutorial on graphing linear equations. This page shows how to graph linear inequalities, including practice problems. This series of pages delivers a lesson and practice with correlation, line of best fit, and scatter plots. This page contains a lesson on scatterplots and correlation. This page contains an explanation and examples of different types of scatter plots. This page has an interactive applet for creating scatter plots, calculating a line of best fit, and exploring correlation.